PETERBOROUGH AND THE KAWARTHAS WILL PRESENT YOU WITH A GREAT MIX OF PAVED AND GRAVEL ROADS TO ENJOY. WE OFFER THE TREK CHECKPOINT ALR4 ALL ROADS BIKE TO SET YOU OFF ON YOUR ADVENTURE. 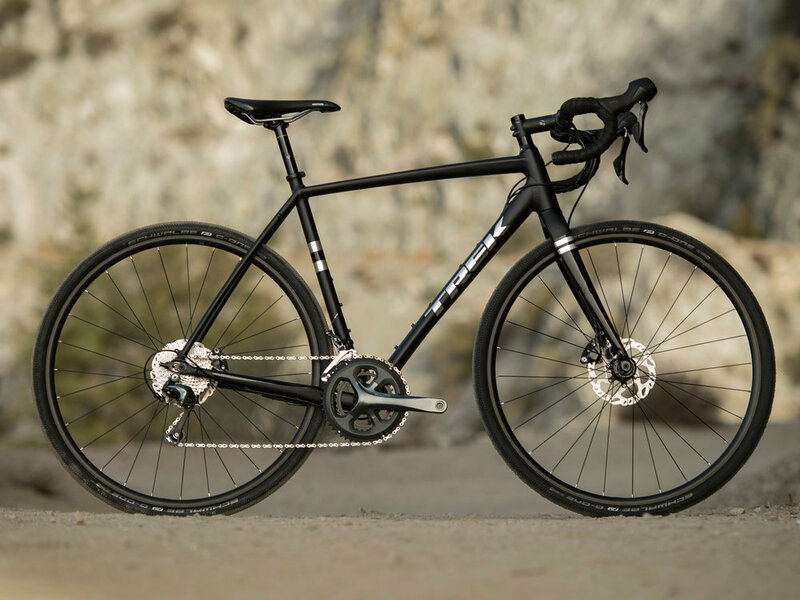 THE CHECKPOINT ALR4 IS A VERY COMFORTABLE, VERSATILE BIKE - EQUIPPED WITH DISC BRAKES, 35MM ALL ROAD TIRES (28MM ROAD OPTION IS AVAILABLE), - LEARN MORE ABOUT RECOMMENDED SIZING BELOW. WANT TO TRY OUT THIS GREAT CYCLOCROSS THING YOU KEEP HEARING ABOUT? WILD ROCK IS HERE TO HELP GET YOU OUT AND MUDDY WITH OUR RENTAL TREK CROCKETT 5 DISC CYCLOCROSS BIKES! RENT ONE, GET DIRTY, HAVE FUN! - LEARN MORE ABOUT RECOMMENDED SIZING BELOW.